This splendid and sparkling new vessels is packed with all the gadgets you might desire, including a home-theater system with plasma screen. 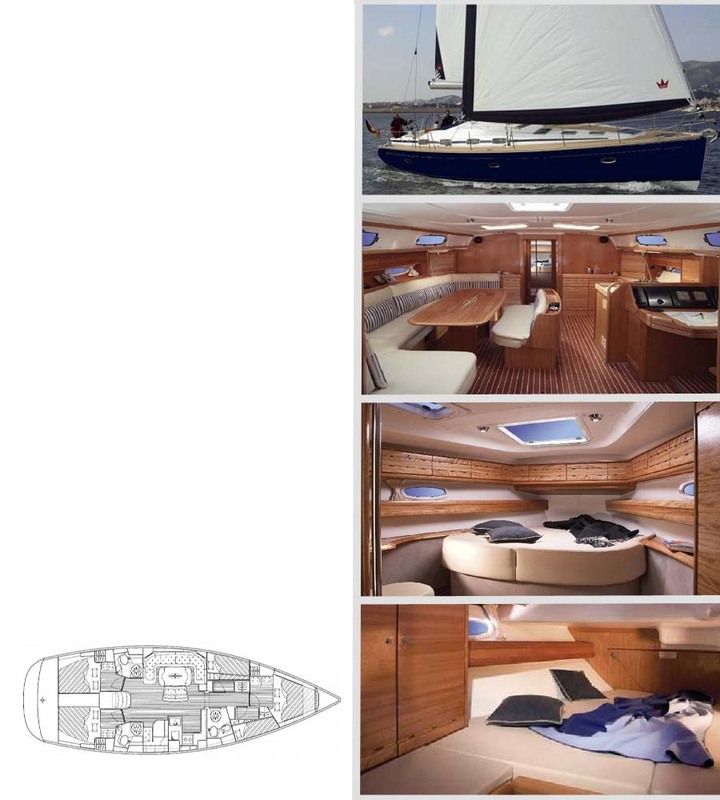 All the 4 cabins are airy ans spacious, and this is one of the very few 4-cabins yacht in the category. The cockpit easily hosts 12 people. The companionway links a huge cockpit with a very roomy living room. The navigation area is on the starboard side while on the port side the guests of the two stern cabins have their heads with shower. The galley also is on the port side. The living area is amazingly wide and coloured, and becomes a real home theater with plasma screen and sound system. The forecastle has the main cabin, another spacious heads and the two-berth cabin for the crew.